The largest and most affordable Online Bicycle Keychain Shop! Bicycle Keychain shop the largest and most affordable! 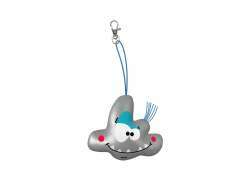 Do you want to buy a Bicycle Keychain online? Hollandbikeshop.com has the Bicycle Keychains you're looking for. Wondering whether you're looking at a screwdriver, a pillbox, a flashlight or a bottle opener? Every product in this category is a keychain, but can simultaneously function as a handy tool, a small flashlight or even a practical pillbox that you can carry with you wherever you go. Who says that you can only use a keychain to organize your keys? 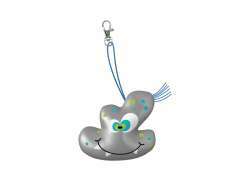 At Hollandbikeshop.com you can find a wide choice of multi-purpose bicycle keychains. In our wide range of bicycle accessories on Hollandbikeshop.com you'll find multifunctional keychains for your bicycle in different colors, shapes and sizes, for example in the shape of a bike chain, a pair of clogs or a snap hook. So you'll surely find the versatile bicycle key chain you're looking for. 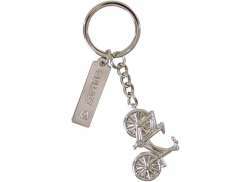 Hollandbikeshop.com is dealer of Bicycle Keychains and has a large and affordable range. 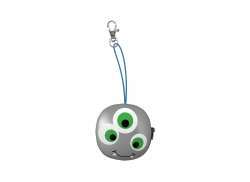 We also often have Bicycle Keychains on sale or in our outlet, so keep an eye on our sale button. The largest and most affordable Bicycle Keychain bike shop!